Ahh....Your story just gets better and better! I too have to often go back a bit to get back into the narrative but it comes back to me quickly. I can't wait to see how it goes! 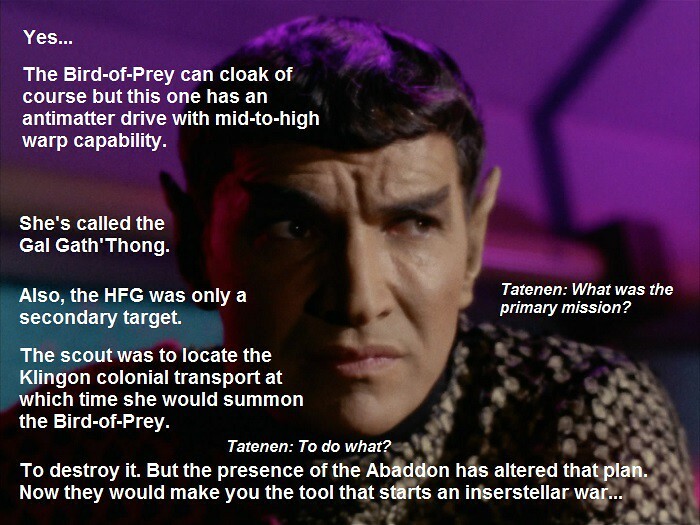 I like the way you gave us something here we never got in either TOS or the later shows — a face-to-face discussion between the TOS Klingons and the updated versions we first saw in the movies and the later series. 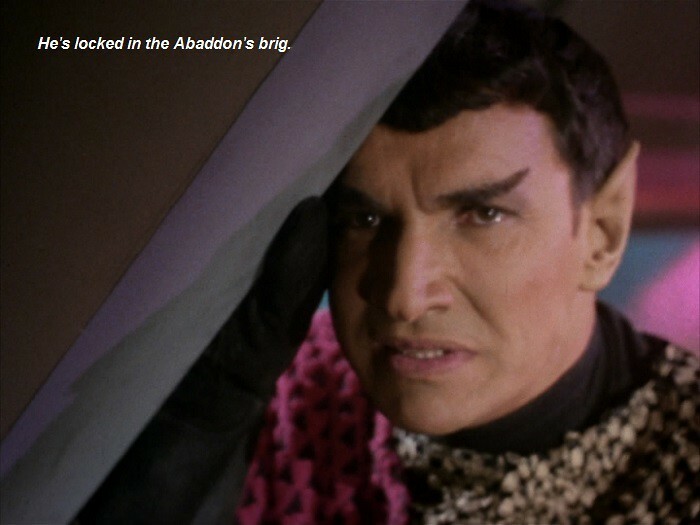 I like the Enterprise episodes "Affliction" and "Divergence" which explained that the Klingons originally looked like we see them in the movies, but some happened which changed them. The Klingons tinkered around with stolen medical procedures used to produce the Augments — humans with enhanced abilities. 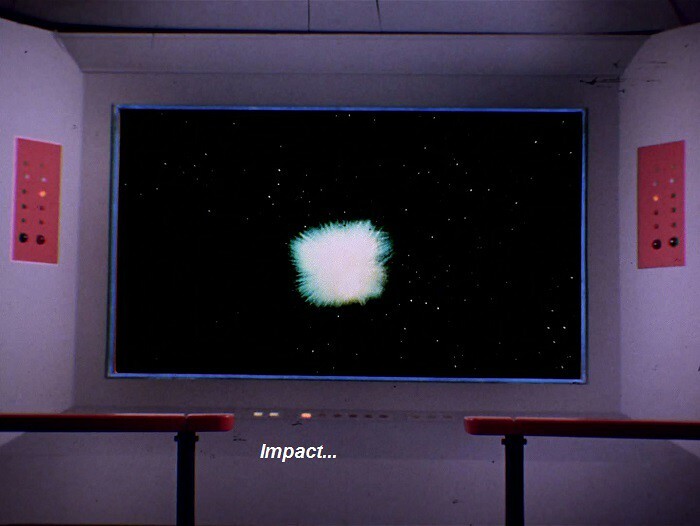 But a flu strain mutates because of this and becomes a deadly plague that spreads across the Empire, causing physical changes resulting in the victims becoming like the were in the TOS-era, and the change was passed on to their descendant. But of course, not ALL the Klingons were changed, so for a period of time (at least) the Klingon race would have both the old and new versions of their appearance. 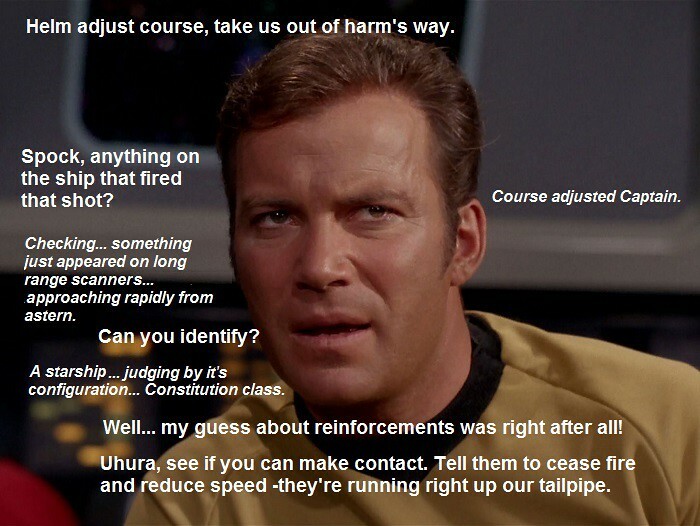 So, at the time of the TOS episodes a conversation like you described would be possible. Thanks Bud. I've read a lot of Klingon history on Wikipedia over the past several months so I was aware that there might be an overlap between the "true blooded" and the "augment" versions of the Klingons. There's a bit of history between these two characters too, some tension to be sure. A good vehicle for sarcasm. It just seemed natural that they would bag on each other after years apart. BTW... I added another image to my previous post. Between Vendetta and Directives. I call it "Bedfellows". I love the idea that the two versions of Klingons — the "pure bloods" and the "smooth heads" — experience racial tension, because that's just the way people are (even Klingon people). We know from the TOS episode The Trouble With Tribles that the "smooth head" Klingons can be altered to look convincingly human! 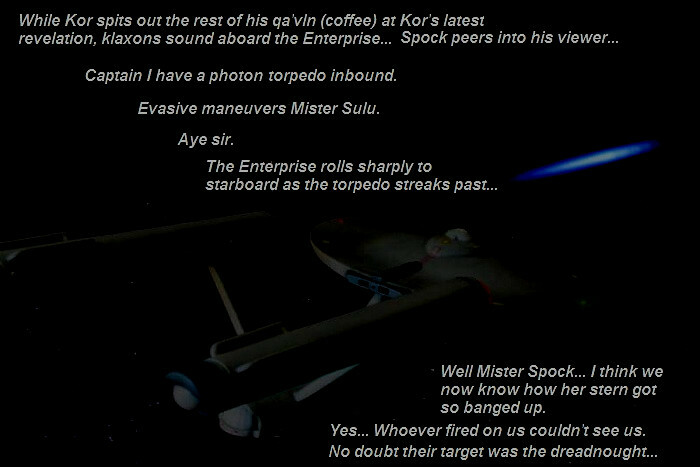 In other words, they acquired members of the Klingon race who could be turned into spies that the Federation couldn't easily detect! If this practice became common enough, Federation security officials would keep Tribbles on hand to "sniff out" these spies! Sort of the way drug dogs are used by the DEA! What a novel idea! A "drug dog" you could carry in your pocket! 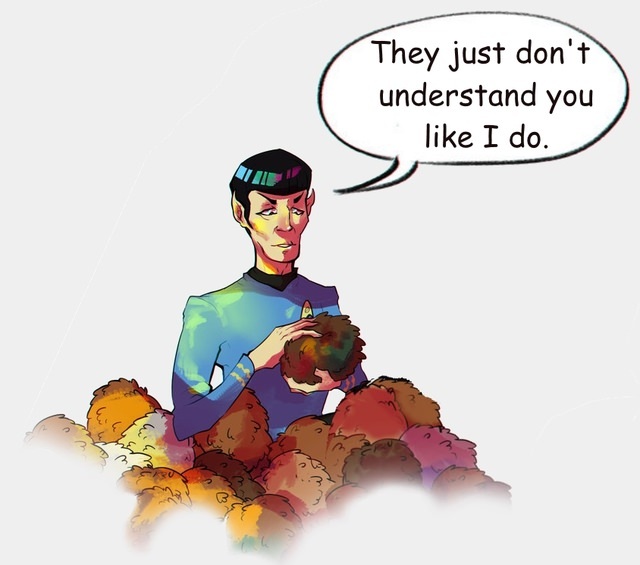 Your posts continue to put me in the mood to watch my TOS box set. And that make me miss by pal Bulldogtrekker. During our six year online friendship, we watched hundreds of movies and TV series . . . including all the TOS episodes, all the Star Trek: Enterprise episodes, all the Voyager episodes, many of TNG episodes, all the TOS-cast movies, all the TNG-cast movies, all the new Star Trek movies, and all the fan-made Star Trek videos! He wasn't called Bulldogtrekker for nothing. He even had a small beloved dog named "Treks"! 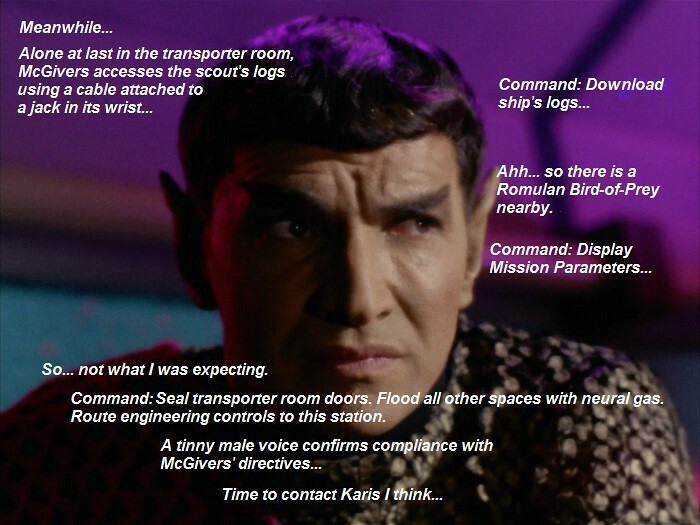 The late Mr. Tim Edwards would have been enjoying your posts as much as I am, Trekriffic. And he would have wanted you to keep up the good work! 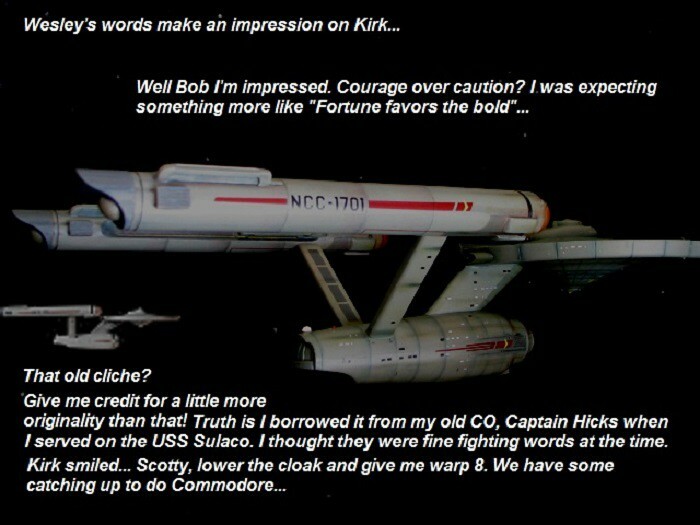 Bud, your comments about Bulldogtrekker make me want to be a better writer... seriously, he sounds like he was a true warrior Trek fan... and, it goes almost without saying, your own writings have inspired me as well. I salute you both for your dedication to all things Trekish! Steve, I admire the way you focus so much attention on the internal struggle which Kirk has with the decisions he has to make and the consequences they cause. 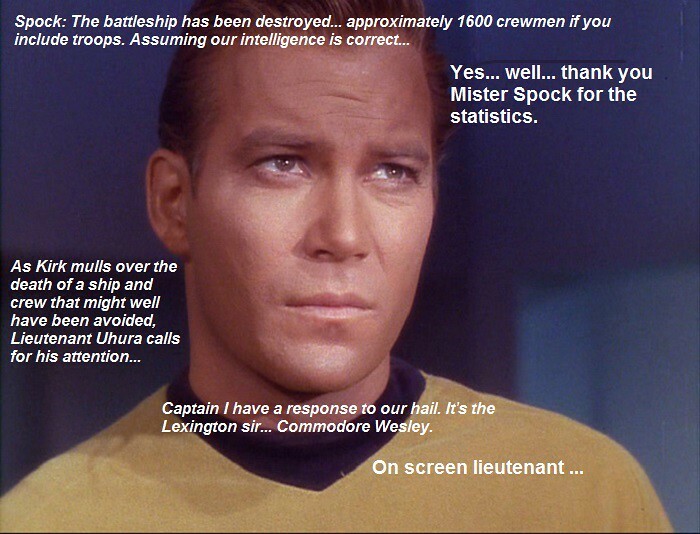 That is right in line with what Roddenberry, his writers, and William Shatner did so well. It's a big part of what made TOS so successful all these years. 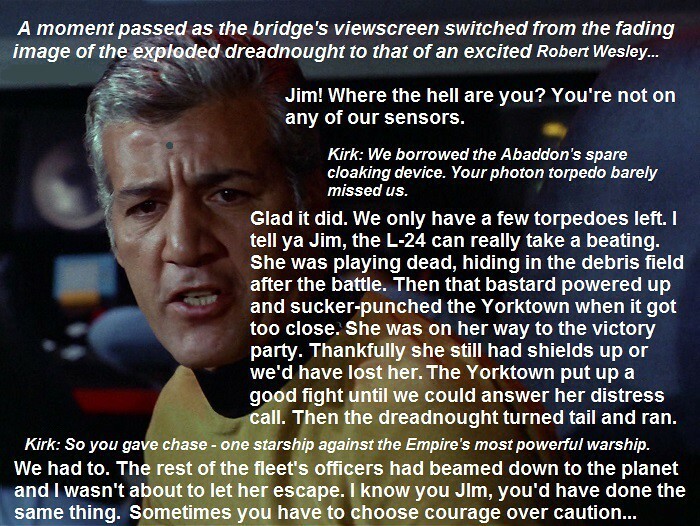 The picture you chose of Kirk's face above is perfect for portraying this to us. By the way, I just checked and All Sci-Fi has 29 guests on line right now! I'm sure a significant number of these frequent visitors are here each day to see what's new on your thread! We rarely have fewer than 15 guests at any time throughout the day, and sometimes we've had more than 30! Steve, think about it! We don't have a large number of registered members who log in and post messages, but we have a constant stream of guests who drop in to see what the imaginative members like you and I and the other active members add to the board daily to entertain our loyal "quests" fans! Let's continue to keep these folks interested in All Sci-Fi by contributing posts such as yours! Interesting. 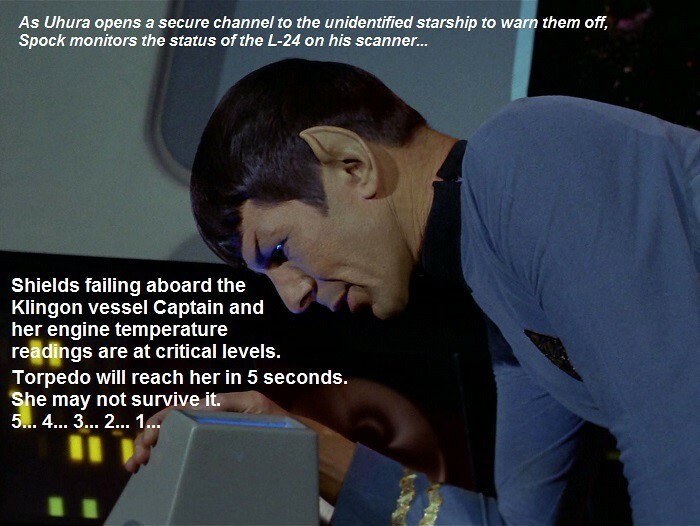 when I post a new image I always make sure to link to the various Star Trek groups on Flickr! Maybe in some way they get redirected here when they click on an image. Who knows... I'm just glad to contribute some valuable content to this site. Honestly, I really appreciate the time and effort you put into this site. You are the paladdin of all we hold sacred in science fiction... seriously... my chalice is overflowing... more bloodwine!